Giuseppe Domenici, born in Viareggio (Italy,1924) is author of the “Fountain of the four seasons”, located on the beatiful shores of Viareggio, Tuscany, in Italy, due to become national monument in 2012. During is long career, Giuseppe produced an amazing amount of pictures, drawings, ceramics and sculptures, all inspired by the sea, mountains, colors and harsh life of the fishermen of the town of Viareggio, its coarse mountains, its traditions and its fabulous Carnival. From 1933 he was tutored by Norma Mascellani (Pupil of Morandi) who introduced him to the group of Lorenzo Viani and the “Versiliesi”. Graduated from the Arts institue of Lucca in 1940 and the Artistic Lyceum of Florence in 1945, he applied himself intensely to visual arts ever since. In 1950 he specializes in Ceramica at the Albisola “altoforni” with Lucio Fontana, Sassu and Luzzati. An active partisan during the Second World War, Giuseppe Domenici has been witness of the historycal changes of the Twentieth century, and has portrayed them originally in his art. His motives initially been inspired by his tutor Lorenzo Viani -of the Macchiaiola Toscana- and by Norma Mascellani, Giuseppe has created a personal and deep rework of those first inputs. During his active sixty years career, he has had the opportunity to work in different areas. Since 1947, he has exhibited his paintings and sculptures in many national and international exhibits, receiving many acknowledgements, and awards. As a young artist fascinated with the colorful world of circus, carnivals, set decorations and exoticism, he collected an amazing amount of interesting and colorful experiences. Among them, his works for the Carnival of Viareggio building amazing “paper mache” puppets and floats, giant mechanical Iguana creature for two feature movies in Cinecitta’ Rome with the at the time young and unknown Carlo Rambaldi (maker of Spielberg’s E.T. animatronic and Ridley Scott’s Alien), his works and travels with the Italian circus, his travels to North America, Brazil, Peru, Venezuela, Australia and the Caribbean. His works are among collections in Rio de Janeiro, Caracas, New York, Miami, Rome, Milan, Bolzano, Verona, Florence, Genoa, Venice, Lucca, Pisa, Brescia, Savona, Turin, Paris, London, Zurich, Geneva, Johannesburg, Chicago, Perth and Melbourne, Marinery museum of Viareggio. 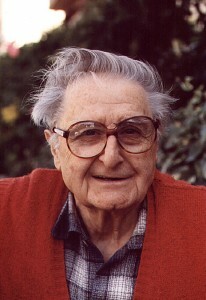 Maestro Beppe Domenici passed away in 2008, at the age of 84, in his home town Viareggio. 1966 – (Italy) Olivetti Hall in Viareggio. 1968 – (Italy) Viareggio and Lucca. 1968 – (Brazil) Rio de Janeiro. 1969 – (Italy) Michelangelo Gallery, Montecatini. 1970 – (Italy) Olivetti Hall, Viareggio. 1970 – (Italy) Town House Palace, Pietrasanta. 1971 – (Italy) Gallery of Europe, Camaiore (Tuscany). 1971 – (Italy) Artemare Gallery, Viareggio. 1972 – (Italy) Saint Michael’s Gallery, Camaiore. Royal Hotel Hall, Viareggio. 1972 – (Italy) Seashore Palace, Pietrasanta. 1973 – (Italy) Acli Hall, San Giminiano. 1973 – (Italy) Principe di Piemonte, Hall of Arts, Viareggio. 1973 – (Italy) Boccaccio Gallery, Milan. 1973 – Winner of the Costa crociere Award with exibition on the Eugenio C cruising the Mediterranean Sea and the Atlantic Ocean. 1974 – (Italy) Capricorno Contemporary Arts Gallery, Milan. 1974 – (Italy) La Saletta Gallery, Milan. 1974 – (Italy) Guelfa Gallery, Florence. 1974 – (Italy), l2th “Quadriennale Nazionale d’Arte”, Turin. 1975 – (Italy) Artemare Gallery, Viareggio. 1975 – (Italy) EPT Hall, Courmayer. 1976 – (Brazil) Esposizione do Caixara, Rio de Janeiro. 1977 – (Switzerland) First Prize “Geneva Targa Bellinzona 1977”. 1977 – (Italy) Gazzelle Cultural Hall, Versilia. 1978 – (Italy) San Marco Gallery, Lucca. 1980 – (Australia) Italian Art Festival in Melbourne. 1980 – (Scotland) the Art Festival of Edinburgh. 1982 – (Italy) Carnival Humour Exhibit, AcquiTerme. 1990 – (Australia) Italian Arts Festival, Fremantle and Perth Art Gallery. 1999 – (Italy) Hotel Excelsior, Cultural Hall, Viareggio. 2008 – (Italy) Gallery Europa, Lido di Camaiore (Toscana). 2009 – (Italy) Principino di Piemonte, Viareggio (Toscana). 2010 – (Italy) Principino di Piemonte, Viareggio (Toscana).